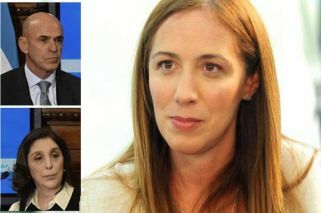 Buenos Aires Province Governor María Eugenia Vidal was a victim of illegal espionage, according to an investigation into a parallel system of power within Argentina's Judiciary. Buenos Aires Province Governor María Eugenia Vidal was a victim of illegal espionage, according to an ongoing investigation into influence peddling with deep roots in Argentina's Judiciary. Vidal appears in documents seized from Marcelo D'Alessio's home on the order of Judge Alejo Ramos Padilla, Perfil reported. D'Alessio is accused of operating on behalf of power players in the Judiciary, including high-profile federal prosecutor Carlos Stornelli. According to reports, D'Alessio allegedly deployed three former Buenos Aires provincial policemen to monitor Vidal: Rivardo Bogoliuk, Aníbal Degastaldi and Daniel Sacedo. The first two are currently behind bars. Perfil tried, but failed, to locate the latter. Sources claimed he could be in the southern city of Ushuaia. Bogoliuk and Degastaldi reported to D'Alessio, according to D'Alessio's statements to the court. Bogoliuk was an agent at the AFI intelligence agency, AFI confirmed. He also owns a private security company and has a long history of friendship with Degastaldi. AFI chiefs Gustavo Arribas and Siliva Majdalani deny involvement in the scheme. 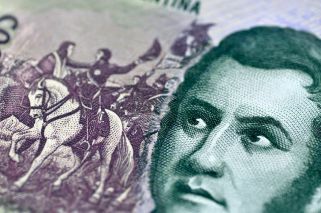 For his part, Degastaldi is believed to manage significant power in San Isidro, an affluent city north of Buenos Aires. He was removed from AFI after being accused of embezzlement. Daniel Sacledo is belived to have coordinated the activities of Bogoliuk and Degastaldi, Perfil reported. Sacledo was a former police inspector and former head of Buenos Aires Provincial Police who joined AFI under the leadership of Gustavo Arribas and Silvia Majdalani, both appointed by President Macri. The Vidal administration was allegedly informed of the illegal espionage one year ago. Vidal and her provincial Security Minister Cristian Ritondo had agreed with the national government in early 2016 to install secret intelligence posts in key areas of crime-ridden Greater Buenos Aires. These were established by AFI with the help of the national Security Ministry, Perfil reported. When Vidal and her advisers learned of illegal espionage against the likes of Ritondo and lawmaker Elisa Carrió, the governor then intervened to disband the posts. This occurred between late 2017 and early 2019.